B.A., Rutgers University; M.P.H. (Epidemiology), UMDNJ School of Public Health; M.A. and Ph.D. (Sociology), Rutgers University . 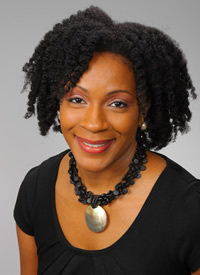 Dr. Dawne M. Mouzon is an Associate Professor at the Edward J. Bloustein School of Planning and Public Policy and a core faculty member at the Institute for Health, Health Care Policy, and Aging Research at Rutgers, The State University of New Jersey. Having earned degrees in Psychology and Africana Studies (undergraduate), public health/epidemiology (master’s degree), and sociology (master’s degree and Ph.D.), her work remains largely interdisciplinary. Dr. Mouzon’s early work focused on the Black-White paradox in mental health, or the unexpected finding that Blacks generally exhibit better mental health outcomes than Whites despite their lower socioeconomic standing and greater exposure to discrimination. She wrote a series of papers regarding the roles of family relationships, relationships of choice, and religious involvement as potential mechanisms to explain the mental health paradox. Dr. Mouzon’s current research interests involve social-structural barriers to Black family formation and the physical, emotional, social, and financial well-being of African Americans who are aging alone. She is also engaged in ongoing collaborations investigating the roles of discrimination and intimate partner violence on physical and mental health outcomes among African Americans and Black Caribbeans. 2018: Mouzon, Dawne M. 2017. “’If Only They Would Make Better Food Choices’: Confronting Myths About Ethnoracial Health Disparities.” Pp. 250-268 in: McClure, Stephanie M. and Cherise A. Harris (Eds. ): Getting Real About Race: Conversations About Race and Ethnicity in the Post-Obama Era (2nd edition). Sage Publications. 2014: Mouzon, Dawne M. “Blacks Don’t Value Marriage as Much as Other Groups’: The Legacy of Inequality in Black Family Patterns.” In: McClure, Stephanie M. and Cherise A. Harris (Eds. ): Hoodies, Model Minorities, and “Real” Americans: Second Thoughts on Race in the United States. Sage Publications. 2014: Smith, Dena T. and Dawne M. Mouzon. “Men’s Mental Health.” In: Cockerham, William C. (Ed. ): Blackwell Encyclopedia of Health, Illness, Behavior, and Society. Wiley-Blackwell: Oxford, UK. 2017: Mouzon, Dawne M. 2017. “Religious Involvement and the Black-White Paradox in Mental Health.” Race and Social Problems 9(1), 63-78. 2017: Mouzon, Dawne M. and Jamila McLean*. 2017. “Internalized Racism and Mental Health Among African Americans, U.S.-Born Black Caribbeans, and Foreign-Born Black Caribbeans.” Ethnicity and Health 22(1) 36-48. 2017: Mouzon, Dawne M., Robert Joseph Taylor, Amanda Toler Woodward, and Linda M. Chatters. 2017. “Everyday Racial Discrimination, Everyday Non-Racial Discrimination, and Physical Health Among African Americans.” Journal of Ethnic & Cultural Diversity in Social Work 26(1-2), 68-80. NIHMSID: #801816. 2017: Mouzon, Dawne M., Robert Joseph Taylor, Verna M. Keith, Emily Nicklett, and Linda M. Chatters. 2017. “Discrimination and Psychiatric Disorders Among Older African Americans.” International Journal of Geriatric Psychiatry, 32(2), 175-182. NIHMSID: #782293; PMCID: #5002385. 2017: Keith, Verna M., Ann W. Nguyen, Dawne M. Mouzon, Robert J. Taylor, and Linda M. Chatters. 2017. “Microaggressions, Discrimination, and Phenotype Among African Americans: A Latent Class Analysis of the Impact of Skin Tone and BMI.” Sociological Inquiry 87(2), 233-255. NIHMSID: #833039.2016: Mouzon, Dawne M. and Jamila McLean. 2017: Mouzon, Dawne M., Robert J. Taylor, Ann M. Nguyen, and Linda M. Chatters. 2016. “Serious Psychological Distress among African Americans: Findings from the National Survey of American Life.” Journal of Community Psychology 44(6), 765-780. NIHMSID: #733313; PMCID: #4973811. 2017: Taylor, Robert Joseph, Dawne M. Mouzon, Ann W. Nguyen, and Linda M. Chatters. “Reciprocal Family, Friendship, and Congregational Support Networks of African Americans: Findings from the National Survey of American Life.” Race and Social Problems 8(4), 326-339. NIHMSID: 831839. 2017: Lacey, Krim K. and Dawne M. Mouzon. 2016. “Severe Physical Intimate Partner Violence and the Mental and Physical Health of U.S. Caribbean Black Women.” Journal of Women’s Health 25(9): 920-929. PMCID: 26918816. 2017: Lacey, Krim K., Dawne M. Mouzon, Ishtar O. Govia, James S. Jackson, and Niki Matusko. 2016. “Substance Use Among Blacks Across the African Diaspora.” Substance Use and Misuse 51(9): 1147-1158. PMCID: 27191862. 2016. “Internalized Racism and Mental Health Among African Americans, U.S.-Born Black Caribbeans, and Foreign-Born Black Caribbeans.” Ethnicity and Health 22(1), 36-48. 2016: Smith, Dena T., Dawne M. Mouzon, and Marta Elliott. 2016. “Reviewing the Assumptions About Men’s Mental Health: An Exploration of the Gender Binary.” Forthcoming, American Journal of Men’s Health. 2015: Lacey, Krim K., Regina Parnell, Dawne M. Mouzon, Niki Matusko, Doreen Head, and James S. Jackson. 2015. “The Mental Health of U.S. Black Women: The Roles of Social Context and Intimate Partner Violence.” BMJ Open 2015;5:e008415. 2014: Mouzon, Dawne M. 2014. “Relationships of Choice: Can Friendships or Fictive Kin Explain the Race Paradox in Mental Health?” Social Science Research, 44:32-43. 2018: Mouzon D, Brownlee S, Chou J and Cantor JC. Stress in New Jersey. 2016 Poll Brief, No. 2: New Jersey Health & Well-Being Poll. New Brunswick, NJ: Rutgers Center for State Health Policy, 2017.